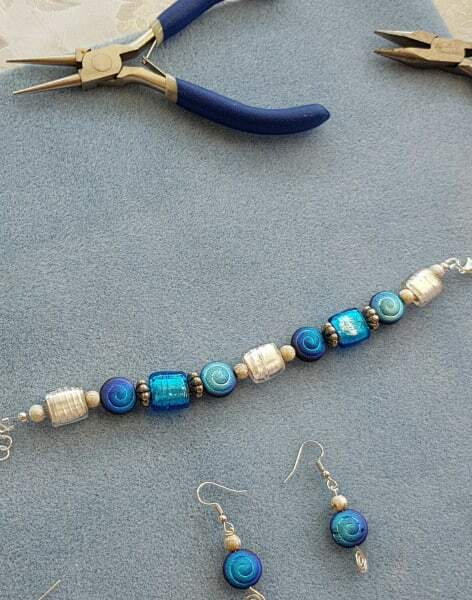 Come and create your own beaded jewellery designs. During the lesson you shall learn about basic beading techniques, findings and tools. 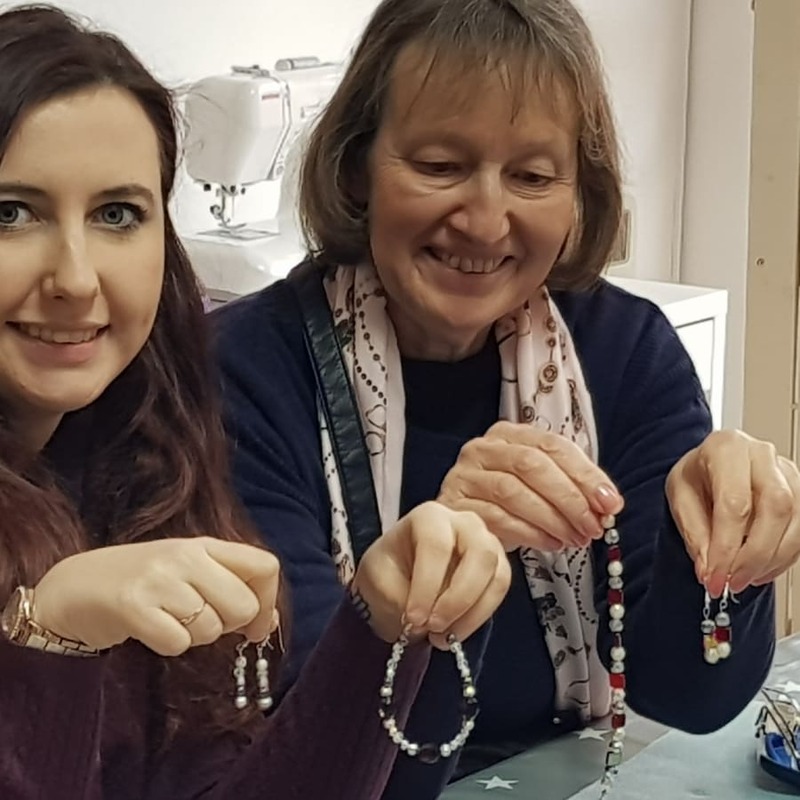 Come and create your own beaded jewellery designs. 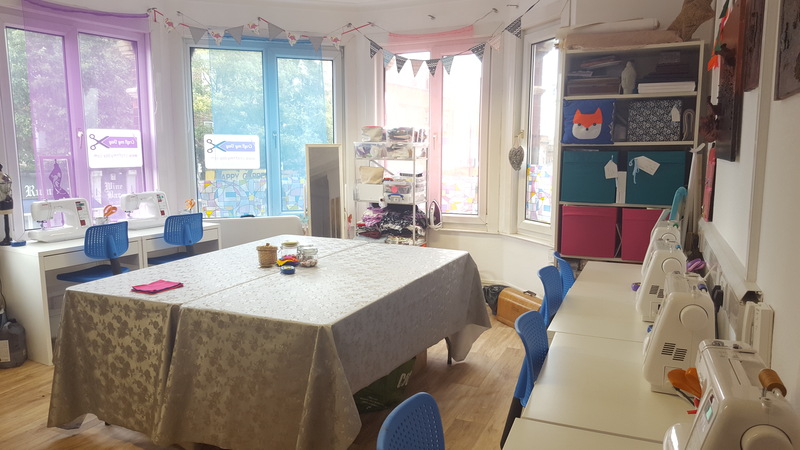 We run small group classes with a maximum of 8 students so that you have lots of personal tuition. During the workshop you shall learn about basic beading techniques, findings and tools. Learn to use findings to create a professional finish. You will complete a bracelet and matching earrings of your own design. All materials and refreshments included. Having tried to make a necklace before and failed I found this class was essential for getting over all the mistakes I had made. 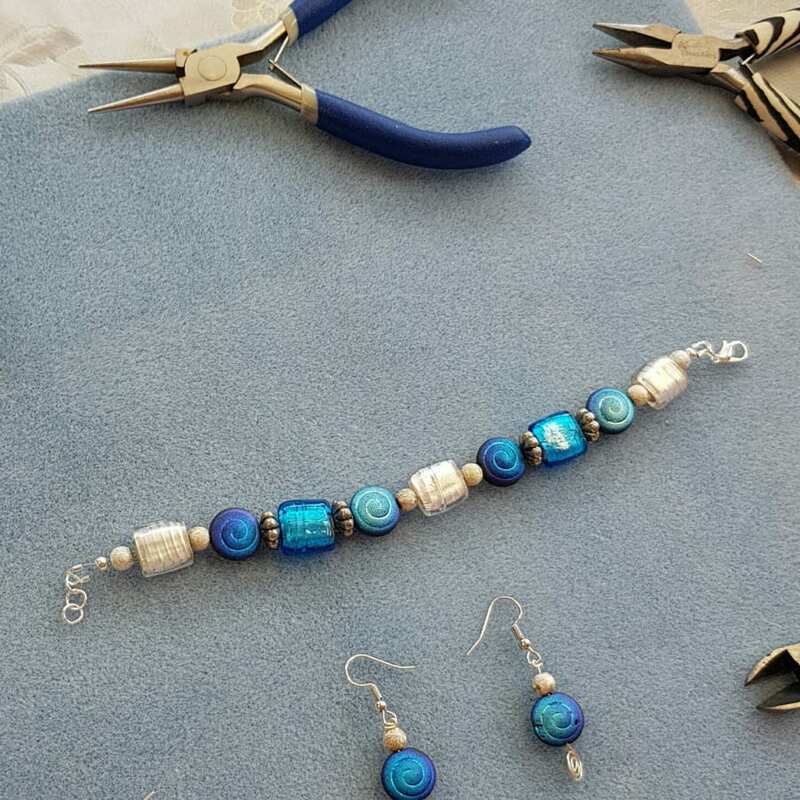 I now, after making a beaded bracelet, have worked out what all the tweaks are necessary to make some beautiful necklaces, bracelets and earrings. The instructor was very friendly and with cups of coffee and biscuits , all my problems have been answered. I now have been so enthused to order, from Amazon , some more items to add to my kit. This class is really amazing for learning the basics to beading. At first I thought the time frame wouldn’t be enough to learn everything but it’s a very detailed class and goes into great depth. The course leader is great and helping you methodically and understand the different ways of doing things. She’s also very flexible - would definitely recommend this class to anyone who wants to learn the basics and elaborate from there. Really amazing lesson, nice teacher, friendly that make you comfortable. Really good materials to work with, good attention and explanation. Now I know how to make a jewel! All equipment, materials and light refreshments are included. You will take home your beautiful finished pieces.